We are a good part of the way through spring, and with that comes warmer temperatures, different road conditions, and an entirely new experience to have in your Land Rover. You’ve enjoyed your Land Rover’s performance all through winter thanks to the maintenance you gave it at start of the season, it’s time to keep the excitement going into spring with a some attention to standard points of care to ensure the best drive possible. With a quarter, insert it into several points in the tires tread, if Washington’s head is always covered by the top of the tread you have more than 4/32” of tread depth remaining. By using a penny the same way you can determine more precise and critical tread depths. If you place the penny down with the Lincoln Memorial inverted and the tread reaches the roof you have an optimal 6/32” of tread depth. If you test it with the opposite side inverted, if the tread only reaches the top of Lincoln’s head the tire has only 2/32” of tread left, which is the legal limit of tread depth, any lower can prove hazardous. Be sure to try these tests at multiple points in the tires tread. Any inconsistencies can indicate uneven wear from mechanical or service conditions of your Land Rover. Throughout winter plow trucks are out, temperatures fluctuate, and as do conditions. Between the abuse of the plows and the spring thaw water that soaks into the ground soil beneath the asphalt, cracks and potholes can occur. Hitting these or any other minor road hazard in your Land Rover winter driving experience can cause issues with your suspension and alignment. At times it can be pretty evident when there’s in an issue in your alignment with how your steering wheel is handling, as well as if your suspension isn’t feeling as responsive as you’re accustomed to. Be sure to visit your Land Rover professional service center to inspect and fix any issues there may be. Failure to do so can cause these problems to result in much larger issues down the road. The treatment for roads in the winter months calls for lots of sand, salt, and chemicals that can prove to be corrosive to your Land Rover’s undercarriage. Even just a regular visit to your local carwash and selecting their undercarriage wash option will help guarantee a long term life for your Land Rover. If you would like to be more thorough in the care for you your car you may consider using a pressure washer under your vehicle (propped up safely on a jack), which provides the ideal amount of force to remove any corrosive build up that may deposit in your driving. If you'd care to be even more thorough you can use degreaser to coat the undercarriage and then rinse with the power washer again. Some Land Rover enthusiasts will then address the undercarriage’s nooks and crannies with a brush, removing tough deposits and ensuring the cleanest and longest performing undercarriage parts. 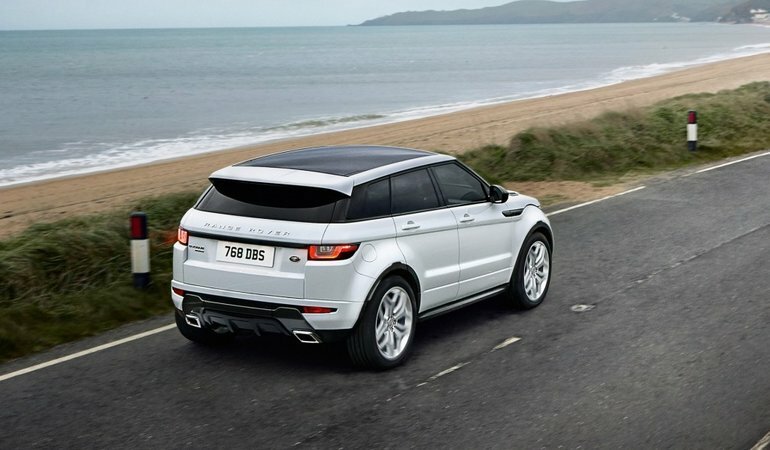 To bring out the best in your Land Rover for the warmer weather be sure to have all your electric components inspected. Continual winter driving can cause heavy stress on these parts, leaving them to only perform at only 60% their original level. Have your Land Rover service professionals inspect and test batteries, wires, and plugs to keep your Land Rover running strong into the coming season. Checking and monitoring all these points on your Land Rover will not only guarantee for a better feeling, more responsive drive right out of your service center’s lot, but also promises to make for a long and healthy life of your Land Rover for many seasons to come.